We are all very excited to start swimming Tuesday 27th of February! Please make sure you have returned the permission slip and the money for your child’s swimming lessons. Children should wear their swimming costumes under their clothes to school. It saves time on arrival at the pool! If bringing arm bands, please blow them up in advance. Arm bands are optional this year as the NAC can adjust the depth of the pool to cater for new swimmers! 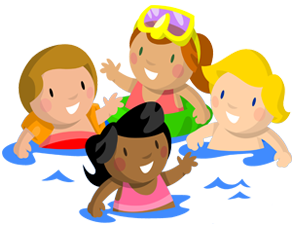 In order to attend the pool for swimming lessons, you must receive confirmation of your Garda Vetting from the school in advance of the lessons. If you wish to be Garda Vetted by the school, please speak to Ann in the office. You must drive to the pool in your own car as there will not be space on the bus. You may help only your own child to get dressed in the changing room. You may sit and observe the lesson in the viewing area of the NAC, but adults are not permitted to walk along the sides of the pool during lessons. Please do not take pictures in the changing rooms or in the pool. If anyone has any questions please ask in the office. We hope everyone has lots of fun!